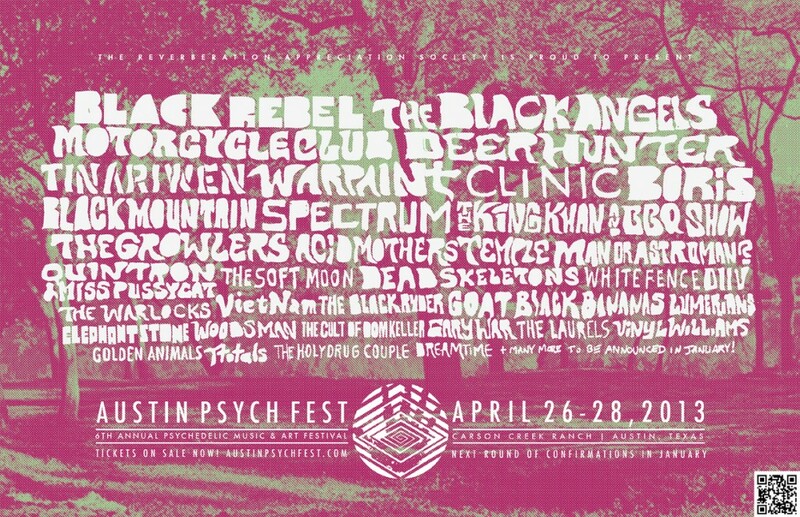 Austin Psych Fest has revealed its preliminary lineup for 2013 and notable acts include Deerhunter, Black Rebel Motorcycle Club, Warpaint The Black Angels, Tinariwen, Clinic, The King Khan & BBQ Show, DIIV, Boris, White Fence, Acid Mothers Temple, Black Mountain, Man or Astroman?, and Spectrum. The festival runs April 26-28th, 2013 at Carson Creek Ranch. Weekend passes are currently available via the festival’s website. Stay tuned to Consequence of Sound and Festival Outlook for additional lineup news and more.